This 3 days Masai Mara safari takes you to Masai mara Reserve centre and to the domain of the Maasai people. The Maasai people are cattle keepers and they practices nomad pastoralist which is part of their tradition. 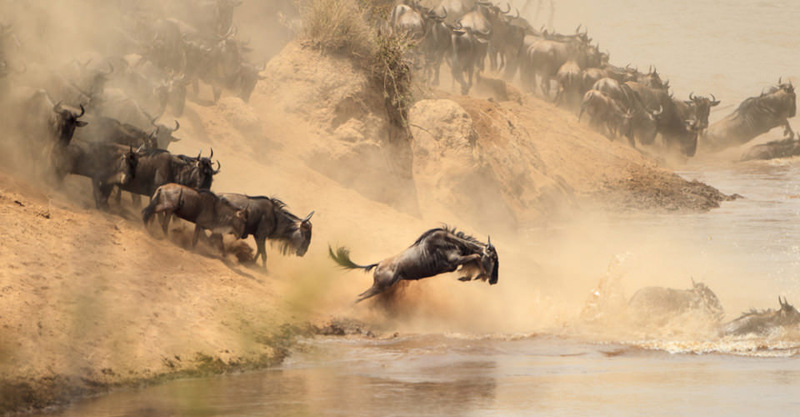 Masai Mara is magnificent home to variety of wildlife and it’s visited by many tourists who drop to Africa for tour. The reserve is blessed with golden grassland plains pocked with acacia, plenty of wildlife like the wildebeests that migrates between the month of October to November, zebras, lions and jackals to list the few. Pick up from the place of residence in Nairobi town at 7:00am after your morning breakfast by our professional driver/guide. He will transfer you to Masai mara the famous park with wildlife and you will spot a lot of activities done by local people along the road side. You will arrive to Masai mara early so as to catch up with lunch time at the lodge. After lunch relaxes a bit than embark on an evening game drive where you will spot the lions, zebras, wildebeest and viewing the sun set. Return to the lodge for dinner and overnight. Take breakfast and head to Masai mara where you will spend entire day at the most popular game reserve in Kenya. You will have best opportunity to spot variety of wildlife including the big five game, the spot the following lions, zebras, buffalo, rhino, elephant, to list the few. You will enjoy the game drive with the armed game ranger and tour guide. You will have lunch from the lodge and then relax for moment than set off for village walk around the nearby communities. End of the day back to the lodge for dinner and overnight at the same lodge. Early morning breakfast, check-out with the lodge and transfer to Nairobi town. You will have lunch from Nairobi town than the driver will drop you to hotel or to the airport.